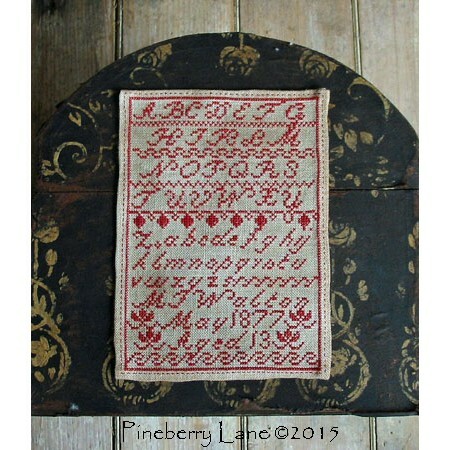 An alphabet of flowing script, lovely horizontal bands, and floral motifs make this a pretty little marking sampler. 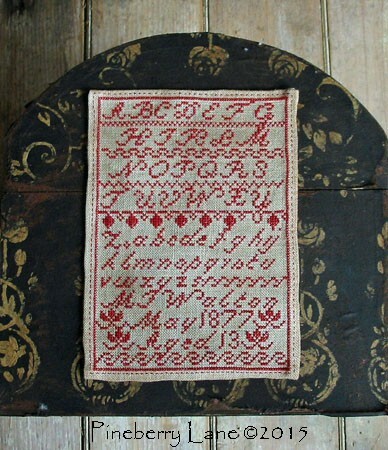 Completed when she was 13 years old in May, 1877, Miss Walton stitched only her first and second initials, leaving us to ponder her full name. 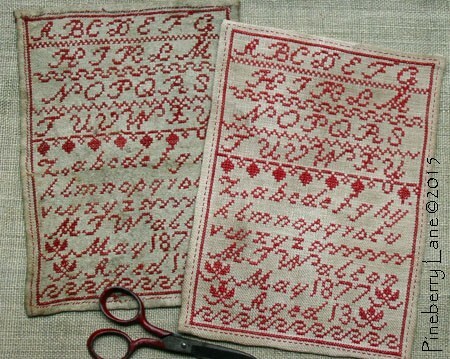 The reproduction is stitched on Week’s Dye Works 30 count “Linen” using DMC thread. All stitches are cross stitch. Pattern includes color photo, professional cross stitch chart, DMC floss color, optional aging instructions and directions for hemming your sampler.